Veranda magazine includes our Djinn Grand arabesque tile, a handmade mosaic shown in honed Calacatta Tia with our pillowed Venetian finish. This tile is part of our Studio Line which is stocked in VA and ready to ship in 48 hours. 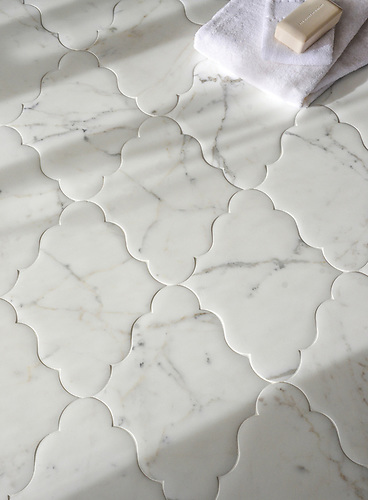 Djinn Grand, a handmade mosaic shown in honed Calacatta Tia with a Venetian finish, is part of The Studio Line of Ready to Ship mosaics. 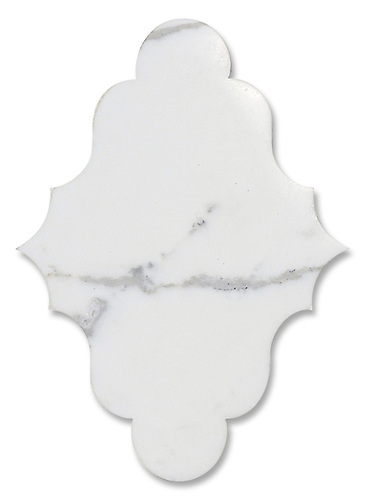 Djinn Grand, shown in honed Calacatta Tia with a Venetian finish is part of New Ravenna’s Studio Line.